In the hurly burly of everyday, we tend to give little thought to that loyal, constant, quietly supportive man in our lives. It's the person we call Dad, Daddy, Father, Granddad, Grandpa, Gramps, etc. So why not take the time to show your appreciation to this Father's Day on June 2015 this year? Most of the time, he is this guy in the video, quietly going about his work and his chores, providing for his family and we sometimes may overlook the small things he does. We think it is important to appreciate all the special people we’re lucky enough to have in our lives - especially our fathers and grandfathers. Here are some ideas that will help you express your feelings. 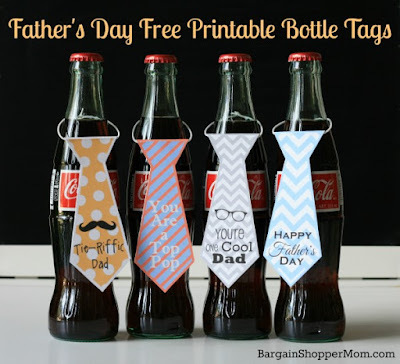 The Tie-riffic Dad Bottle Tags and Cake Toppers – Sure you could buy him a tie; but how about Father's Day greetings in the shape of a tie and add your own message if required. Use some string to tie them on to a bottle of soda or paste on to a stick as a cake (or cupcake) topper! Grandpa’s Stache – This little printout goes on to any gift for grandpa – his stash (or mou’stache’, get it? ), so to speak. A box of his fave sweet treats, some of his much loved tipple or a hamper of things you know he’ll enjoy can all go along with the Grandpa’s Stache card. Father’s Day free printable card – This is another idea for a Father or Grandfather’s gift basket: a one stop pop shop gift made up of all his favorite pop items or a collection of food gifts; and all of this topped up with a cute little The Best Pop Ever greeting. Dad/Granddad coupons – The gift that a parent or grandparent may appreciate the most are gifts such as these: the gift of your time, a meal together, some chores around the house and so on. So then print out some coupons, each of which is good for a home cooked meal, lunch out together, a back rub and so on. Printed Dad/Granddad Posters – Some heroes don’t have capes; they are called DAD! Anyone can be a Father; it takes a special someone to be a DAD! The only thing better than having you as my dad is my kids having you as their grandpa! Print out posters and have them frame or laminated or simply print out Father's day greetings for that special man in your life. 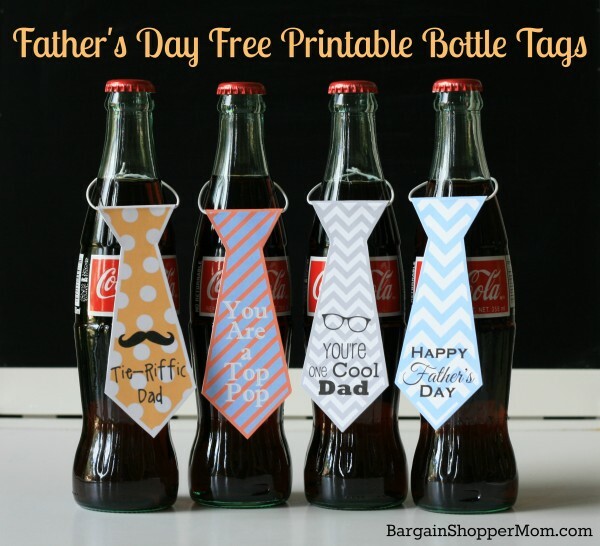 Father’s Day Table – Organize a little party in honor of dad or granddad. Have all his favorite foods (don’t forget his favorite beer) on offer and print out a little banner that says SUPERMAN WITHOUT THE CAPE or SUPER DAD or simply HAPPY FATHERS’ DAY! So how do you plan to celebrate Father’s Day? Any particular gifts in mind or activities planned? 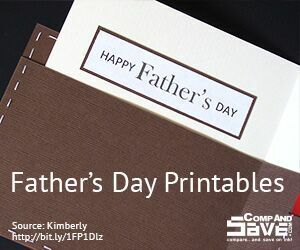 If you have some Father's Day printable ideas, we’d love to hear all about them too!